October/November 2004: 7 Pros reveal their secrets for making the most popular wine in North America in this “roundtable” disscusion. 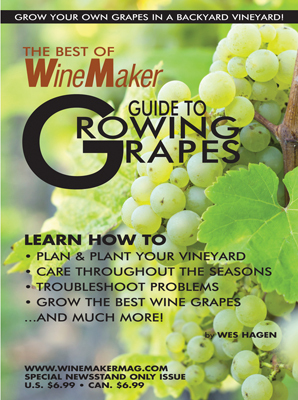 Also in this issue: Learn the secrets of Cabernet Alcohol Content, Cold Climate Grape Growing & Understanding Clones. 2009 WineMaker Magazine Napa Conference – Napa Cab Roundtable: The Napa Valley is known for producing some of the best Cabernet Sauvignon in the world. Learn some of the winemaking techniques and keys used in the Napa Valley to producing a great Cab from three local professional winemakers.